Is President Trump being Punked? Nobody is more disgusted by the use of chemical agents in warfare than I am. Whether it's a blistering agent such as mustard gas or a nerve agent like GB (Sarin), they should never be used - not ever. But isn't it strange that now Assad has things under control and the Russians have ringed the country with S-300 and S-400 SAM batteries that Assad would launch a chemical attack on a handful of people? 100 people were effected by the gas. Russia's defense ministry said on Wednesday (link) that the poisonous gas contamination was the result of gas leaking from a rebel chemical weapons depot after it was hit by Syrian government air strikes. I'm not pro-Russian but applying Ockham's Razor, their explanation makes a lot more sense. Now the US is contemplating war in Syria to depose Assad. Why is that again? And why would Assad deploy GB against a civilian population to kill or severely injure a mere 100 non-combatant people? I understand the pitiful photos of children who were gassed. So was it a deliberate strike or was it an accidental release as Russia tells us? 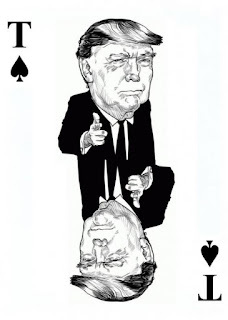 I suspect that President Trump is being punked, and I don't think that it's the Russians who are doing it. If not them, who? Who is promoting US war against Syria that will draw Russia in against the United States? Who has been fulminating propaganda against Russia in the United States and for what reason? A statement from the South Korean Joint Chiefs of Staff read, "North Korea fired a ballistic missile into the East Sea (Sea of Japan) from a site in the vicinity of Sinpo, South Hamgyong Province, at around 6:42 a.m. on 5 April [2142 GMT on 4 April]," the Joint Chiefs of Staff (JCS) said. The missile flew about 60 kilometers, and South Korea and the United States are analyzing additional information, but the exact type of the projectile is not confirmed yet. The last missile launch attempt was on 22 March from a launch site near Wonsan. The short flight distance suggests the launch was a partial failure. 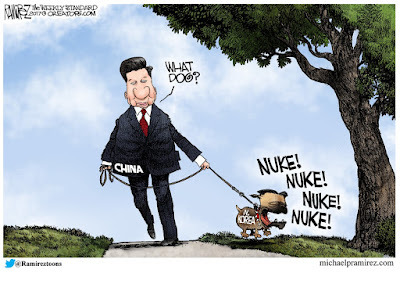 The timing indicates it was intended as an act of defiance for the summit between President Trump and Chinese President Xi Jinping. The probability of war remains low. Spring planting has begun in North Korea. As a nation that treats self-sufficiency – juche – as a national theology, the North must feed itself as much as possible. North Koreans would experience mass starvation (and run out of tree bark) by October if they did not devote almost all human resources, including the Korean People’s Army, to planting in April. Even the North Korean armed forces are expected to grow a significant portion of their food. They also guard military and non-military farms from poachers. A war in Korea is of necessity a winter war. Because it is mountainous, and because the valleys are all under cultivation, moving armor across the muddy slew that is the summer in Korean valleys is not practical. Everyone who has studied the issue knows this. it's not a secret. Missiles will fly and nuclear tests might occur as Kim Jong Un commands, but he does not control the agricultural cycle and its disturbances. North Korea is absolutely bound to that cycle for good or bad results. Those judgements do rule out a serious crisis resulting from misjudgment or miscalculation of intentions. 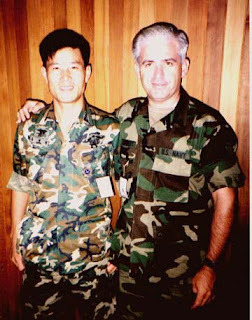 North Koreans will respond if attacked, but the senior party officials, the vice marshals and the generals know everything the Kim family regime has built since 1950 would be destroyed in a war with the US, but their enemies would survive. As one North Korean guide told a visitor, “There is no old town in Pyongyang. 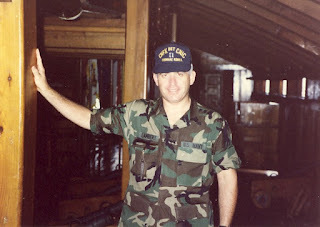 You destroyed it in the Korean War.” For the North Korean vice marshals and the generals, there is no profit in war or peace; only in the constant threat of war. On 3 April, the Indian defense ministry approved arms procurement packages worth over $13 million. They include more than 100 additional Israeli Barak-I missiles for Indian warships as well as European equipment to defuse or destroy enemy underwater mines. Finally, the Indian defense research and development organization (DRDO) has obtained approval for a joint project with Israel Aerospace Industries (IAI) to develop the next generation Barak-8 medium-range surface to air missile (MRSAM) for the Indian Army. The latest spate of approvals is being expedited to provide extra substance to Prime Minister Modi’s ground breaking state visit to Israel in July. India and Israel have had diplomatic relations since 1992, but Prime Minister Modi will be the first Indian prime minister to make an official visit. High tech weapons and sensors for air and naval applications plus intelligence cooperation are the foundation of the defense relationship. The dollar value of the weapons and sensors is less important than the technological edge they provide India. It might be a coincidence, but the announcement about Indian arms packages with Israel appears to be a counterpoint to the media spread last week about closer Pakistani relations with Saudi Arabia. South Asian media extensively reported that Pakistan Army retired General Raheel Sharif was approved as the commander of the Saudi-led Islamic Military Alliance for Fighting Terrorism and that Pakistan had joined the Alliance. On 4 April, Turkish President Tayyip Erdogan called on Iraqi Kurds to lower the Kurdish flag over Kirkuk. He warned that failure to do so would damage Iraqi Kurdistan’s relations with Turkey. "Bring that flag down immediately," Erdogan said at a rally in the Black Sea province of Zonguldak, where he was campaigning ahead of the 16 April referendum on constitutional changes that would broaden his powers. "We don't agree with the claim 'Kirkuk is for the Kurds' at all. Kirkuk is for the Turkmen, Arabs and Kurds, if they are there. Do not enter into a claim it's yours or the price will be heavy. You will harm dialogue with Turkey." Iraqi Kurds’ answer. The local Rudaw TV channel cited the governor of Kirkuk who said that the Kurdistan flag should fly alongside the Iraqi national flag because the city is largely under the protection of Kurdish militia forces. Erdogan continues to project the image of the tough Turk. He seems to have little regard for the international boundaries that define his legitimate jurisdiction. The comments today pander to the anti-Kurd bias of a strongly pro-Erdogan audience prior to the constitutional referendum. He treats Syria with similar disregard. When the issue is Kurds, Erdogan does not discriminate based on nationality. Kirkuk is one of Iraq's disputed territories. It contains Kurdish, Arab, and Turkmen populations. Kurdish peshmerga forces took control of it in 2014 when the Islamic State overran around a third of Iraq and the Iraq army's northern divisions disintegrated. The Kurds consider Kirkuk to be their rightful capital, not Irbil. The underlying issue among Iraqis is that Kirkuk is the center of the northern oil industry, which the Iraqi Kurds claim as theirs. The Arabs and Turkmens contest that claim, with Turkish support. Erdogan opposes any expansion of Kurdish holdings anywhere. Unfinished business includes ownership of Kirkuk, land ownership issues, equitable distribution of the proceeds from oil production, the nature of the Iraqi state as federal or unitary and guarantees of political clout for the Sunni Arab minority. Disarming militias and control of weapons also will pose major challenges after the defeat of the Islamic State. The Turkish hatred of the Kurds fuels the Kurdish interest in establishing its own state-within-a-state, funded by oil revenues. The Turks definitely don't want that. Historically the Kurds have relied on the cultivation of opium poppies (and exports of heroin) to fund their state. The presence of oil revenue shouldn't change the drug production metric, but it helps to cement Kurdish power in the area. With the capture of the Tabqa airport from the Islamic State, US-backed Syrian Democratic Forces (SDF) and American Marines and special forces have access to five air installations in the region. US officials said that the Tabqa airport was being repaired. Kurdish officials said the airport could be used for flying in supplies, military hardware and soldiers to help the SDF oust the Islamic State from Raqqa. This development is important because control of airports and air installations near the next offensive target—Raqqa-- provides significant tactical and operational advantages. Without Russian control of the airspace, the Syrian government would have been overrun in late 2015, according to a Russian assessment at the time. That is why Russia sent the air expeditionary force to Syria in August and September 2015 – to save the Asad government, which it helped do. Similarly, the anti-Islamic State coalition of militias would have been able to make little progress against the Islamic State without air support from the US-led coalition. The Easter Season is upon us with the big day only a week and a bit distant and that means that Latin America has shut down (essentially) for two weeks as people celebrate by going home and visiting relatives. 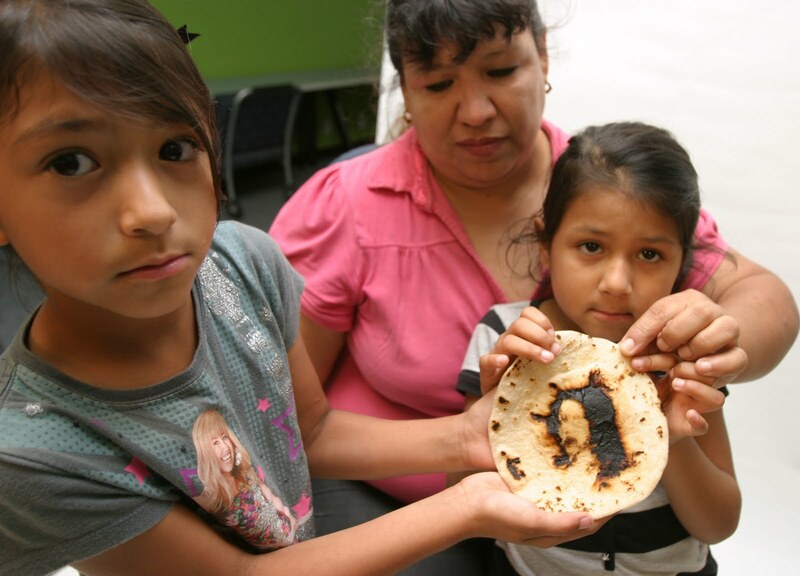 There are traditional miracles in Mexico every Easter Season as Jesus makes his appearance on tortillas. No, I'm not making this up. Check it out for yourselves. Do the research. There are a lot of Jesus tortillas at this time of year and from what I've been able to determine, they are all worshiped. There are shrines to Nuestra Señora de Guadalupe that include tortillas. If you eat one, what happens to you? I can't even guess. I haven't met anyone who has...but I want to ask LSP if Karen's Burritos in Itasca, Texas ever feature flour tortillas with the holy visage on them. Those brisket burritos are good - maybe that's why? The Lone Star Parson is in the biz. He might be able to offer an explanation. Is it the "real Jesus" or a simulation? I'm not qualified to offer an opinion, though I have my suspicions. I first noticed this phenomenon in Santa Ana, California (county seat of Orange County). There was a Mexican panadaria with a huge crowd in front of it, stretching into the street and blocking traffic. Hawkers had arrived and were plying their wares as they weaved in and out of the crowd. I didn't know what to make of it, so I asked a local (my car was stopped by traffic, which made this easier) what happened. "Jesus appeared at the bakery." That's not something that you hear every day, but traffic started to crawl and the police arrived to clear people off First Street. Then I arrived at work at the Orange County District Attorney's Office (located half a mile from the miracle) and there was a buzz going between our clerks, some of whom were Mexican, about the Miracle-on-First Street. Having just passed by the site of the miracle, I asked for details. "Jesus appeared on a tortilla," a woman of faith said without breaking a grin. "It's a sign, Mr. LL." "A sign of what?" My question went unanswered. 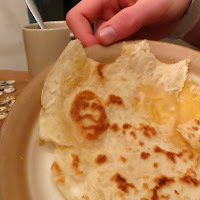 I learned that, Jesus appears on tortillas in Mexico with some regularity at Easter - but only on flour tortillas. Whether or not the divine is drawn to flour tortillas over corn is something else The evidence is overwhelming. Maza (corn) doesn't make the cut. 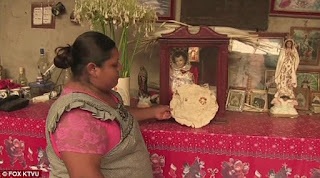 I've heard of riots and injuries at a bakery in Tlaquepaque (a subset of Guadalajara) in the run up to the holy week, as people jostled each other to have the opportunity to gaze at a tortilla that somebody placed at a shrine set up inside of a bakery. I am personally a man of faith. I spend a great deal of time researching things Biblical. I go to church. But I draw the line at worshiping a burned tortilla. Am I a heretic?